The story began when the pioneer of this Hotel Late Mr. Altaf Hussain Malik began to construct this building known as Hotel de Papáe in June 1986. 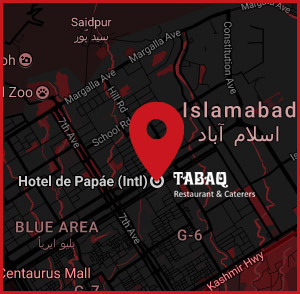 By 1990 he began to successfully run the very well known franchise of TABAQ Restaurant and by 5th July, 1997 the Hotel was formerly inaugurated by the then Chairman Senate Mr. Wasim Sajjad. The Hotel business flourished being the fourth well known Hotel in Islamabad. But on 21st September, 2001 Mr. Altaf Hussain Malik passed away suddenly due to adrenal cancer at Cromwell Hospital London. The rest of the shareholders his wife, his daughter and son continue to run it successfully till this day.